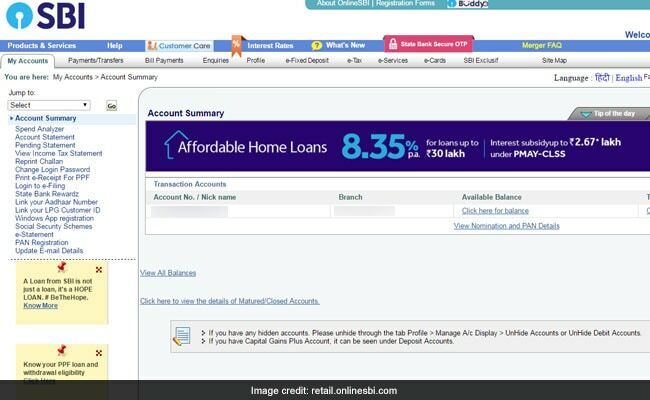 The public sector lender has introduced a new feature in its online banking facility, using which its bank account holders can transfer their account from one branch to another branch sitting at home. As on March 31, 2017, SBI had an extensive network, with over 24 thousand branches in India. 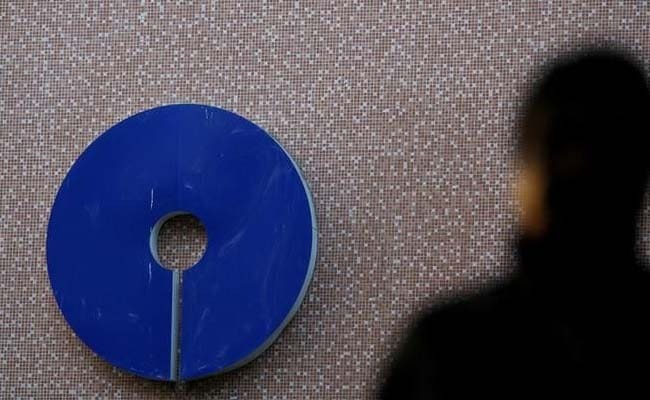 India's biggest lender SBI has made it convenient for its bank account holders to transfer their bank accounts from one branch to another when they get shift to another location. The public sector lender has introduced a new feature in its online banking facility, using which its bank account holders can transfer their account from one branch to another branch sitting at home. The new feature is easy to use, quick and convenient. Here is how to use this facility. As on March 31, 2017, SBI had an extensive network, with over 24 thousand branches in India. 1) Log in to SBI internet banking using your user name and password. 2) On the home page of your account click on "e-Services" tab on the top. 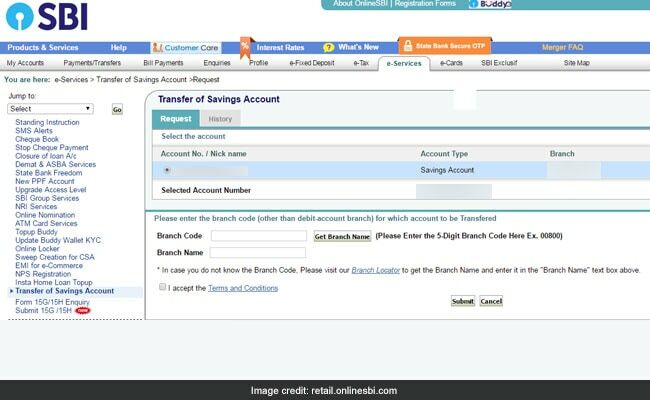 3) Under the "e-Services" section, select the "Transfer of Savings Account" option from the left hand side menu as shown in the picture. 4) On the screen it will show you the available accounts you have in SBI. Select the account, which you want to transfer to another branch. Put the branch code of the SBI branch to which you want to transfer your account. Then click on "Get Branch Name" tab following which branch name will be shown in the box below the branch code. Read and accept the "Terms and conditions" and select submit. 5) After you press "submit" it will show you the details of branch name and code to which you want to transfer your account. Please check the details and if you find everything correct, then click on "Confirm". 6)After you click on "Confirm" you will get a high security password on your registered mobile number which you need to enter and press confirm again. 7) Once you click on "Confirm" a new page will open which will show the transfer confirmation message and details of your existing branch and the branch to which you want to transfer your account. SBI has shared a video on Twitter showing the process of transferring your account from one branch to another branch.